I was wondering has any members visited the uk wolf conservation in Reading? You are a Grey Wolf friend? IÂ´m a member in a German Grey Wolf organisation. We have in East Germany ca. 80 to 100 wolves in the free nature. The most wolves live in Saxonia on the border to Poland. Looks really interesting. Always thought it was bad keeping Wolves in captivity as they're such free/wild spirits. A friend's wife works in West midlands Safari park as Wolf Keeper. The wolves there have a large enclosure and often they leave the enclosure gates open when doing maintenance. Evidently if the wolves do go out of the gates they stand there looking perplexed, turn and go back into the enclosure. Surely that must mean that they're not unhappy there. Wolves in the wild must be the best but better they're happy in captivity than not at all. I think as conservation and education are the underpining reasons then that is justifiable. I have always been fasinated by wolves and their relevance to the domesticated dog of today and that is why I am going to go on the 'predator to pet' workshop they hold as they go through the taxonomy of canids and a host of other things plus you get to waalk with the wolves and there is a photo shoot opportunity - sounds good! I looked on the website last night, the walk looks good, wouldn't mind doing that myself, it doesn't say how much it costs, or membership though? as a group, i think you get a discount, but dont quote me on that. Definately says Â£75 on site, do you know something I don't Trisha? I think the price is o.k.. In North Germany, near Hamburg are the cost for walking with wolves 50,-EUR (45,-UK Pounds). Can't read German but the pictures tell it all. Thanks for the link. The cost is Â£10 per person. 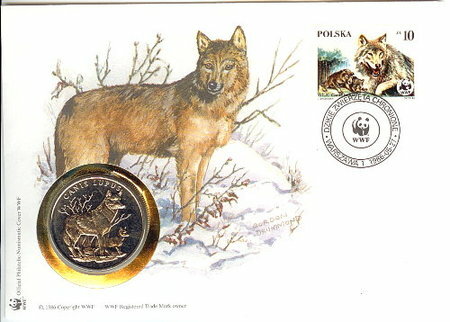 Following positive feedback from a study tour to Slovakia in 2009 to see wolf, bear and lynx habitat and learn about conflicts between large carnivores and people and the solutions being implemented there, and what lessons can be learnt for potential reintroduction of these species to Scotland, Wolves and Humans and the Slovak Wildlife Society are arranging another tour this summer. ...."
This are few pieces from my collection over Grey Wolves. ... and a another piece from my collection. Last Edit: 9 years 3 days ago by Joerg Yoki.